Well this feels weird - I've decided to try and stay fully on top of things this year, so I'm beginning my review of the top posts on the blog today, 11th January! Given the popularity levels on the blog last year, I decided that I'll start the review by including any posts that garner over 1000 views. In my experience, bots tend to just hit the front page so as far as I'm concerned, figures on views for posts should be pretty accurate (I hope). The summaries of these posts will be written as I go, so hopefully when we get to the end of the year all I will need to do is post up a final figure for views on each post. Hi all, just a quick post today to say that given how much real life stuff is going on at the minute over the festive season, I'm not going to be publishing any new posts on the blog until after Christmas. I might very well draft a few over the festive period as an when I get time, but nothing will now go live until my end of year review on the 30th. Just a few points before I go then. First, Merry Christmas to one and all, and for those who don't celebrate it, I hope this time of year treats you and your loved ones as well as you could wish for. Second, thank you to all who've read my blog over the last year, it's a real hobby outlet for me at times and helps me keep my hobby focused (instead of starting a million projects and never finishing any of them). Third, extra thanks to anyone who has helped to support the blog, either through comments on my articles, clicks on adverts or ordering through the element games affiliate link. I certainly don't write this blog to make a living, but the occasional benefits of payouts from the affiliate scheme and adverts are certainly nice surprises, and the connection with people all over the world through the comments section is very much valued by me, I only wish that I had the opportunity to meet you all across a tabletop! Fourthly, if you've not already done so, please cast your vote on the naming of me Craftworld for my new army of 2018, things could hardly be any closer and there are only 12 more days to vote before the decision is made. This vote will determine the name I use for the Craftworld, which it is intended will begin to appear on youtube in battle reports in 2018 as the Grim Dark Brotherhood start realising our plans (battle reports and events are on the cards, with me frantically writing event, faction and alliance rules and strategies, scenery tables being constructed and painted, and trial runs of battle reports, intros etc taking place too). and finally, please let me know in the comments below if there is anything you'd like to see me tackle in the new year, from opinion pieces on GW and their products, gaming types, tactics articles, codex reviews etc, let me know what content you like to read about (and more particularly what content you like from me) and I'll do my best to accommodate you! Have a good break all, I'll see you in the New Year. 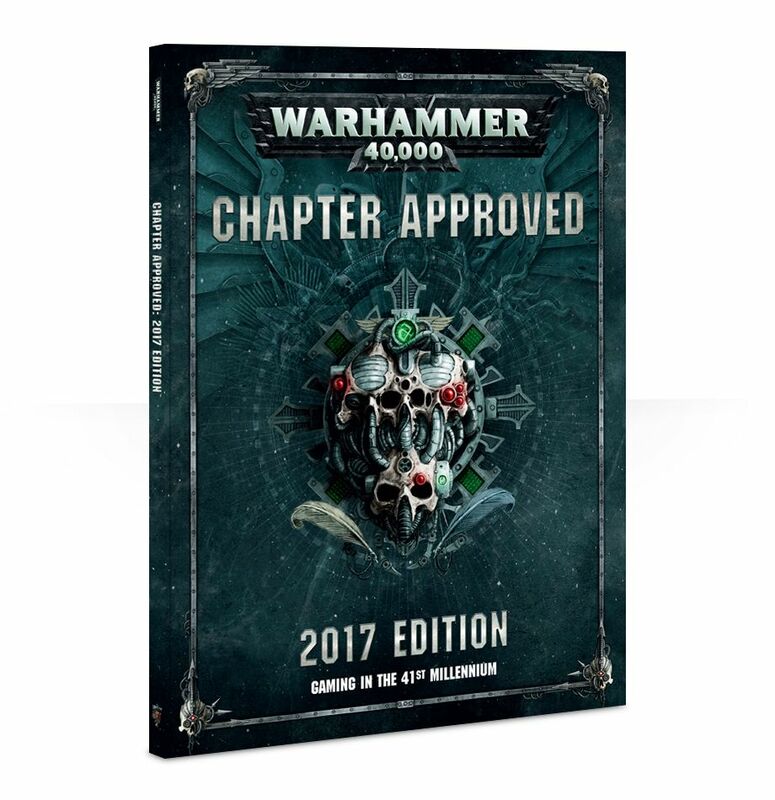 Chapter Approved - Good Value or Not? Greetings all, time for a look at one of the hot topics in gaming circles at the moment - Chapter Approved, and more specifically, is it worth the money or should it have been a freebie FAQ/download. 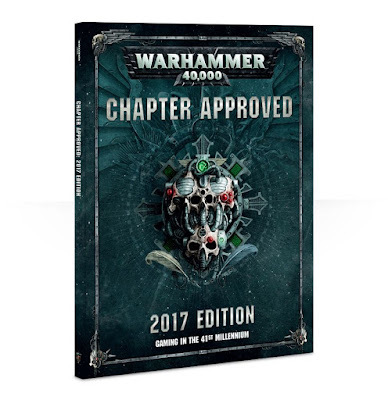 I've seen a lot of stuff recently knocking the book and some of its content, and the choice taken by GW to make it available in this format so I thought I'd take a proper look at what's included. Be prepared for quite a bit of text here I'm afraid, cos there's quite a lot stuffed into this book! Greetings all, welcome to the frozen wastes of Terra, and this week's look into my lair at what I've been up to. Naturally I'm afraid at this time of year, hobby time is at a premium, and although I did get to sit down for a while on Saturday, I also had plenty of things to get done before Christmas. That being said, I did get some progress in on my daemons commission, so here are the latest pics of the Bloodcrushers I'm working on. They're getting pretty close to completion now, which is most definitely welcome as I made a bit of a mistake by undercoating them white initially - this has meant that getting an even smooth coat on them has taken much longer than it should have done. Finishing them also took a bit of a backseat whilst I got my Dusk Knight list painted for Never Mind the Blogwars. I've never had to paint quite as much red as this before, I'd like to think that red is one of the colours I'm better at, but getting smoothness into the blends on the skin of the bloodletter riders was really tricky, and overall there's at least 6 layers on there (that's six different colours applied in sequence, it's more than that if you count actual layers to get a smooth finish). Similarly, the juggernauts use a different approach to getting the red done, I felt that the models could become quite boring if everything was just one big blob of the same red, so for these guys I used a different base red, before applying some thinned down upper layers that give a different tone and feel to the models from the bloodletters. The swords in particular I'm quite proud of, as I really wanted to get across the feeling of rage and fire that I imagine fills Khorne's realm in the warp. At least now all the models are complete from an assembly point of view, so I can get to adding the final touches. 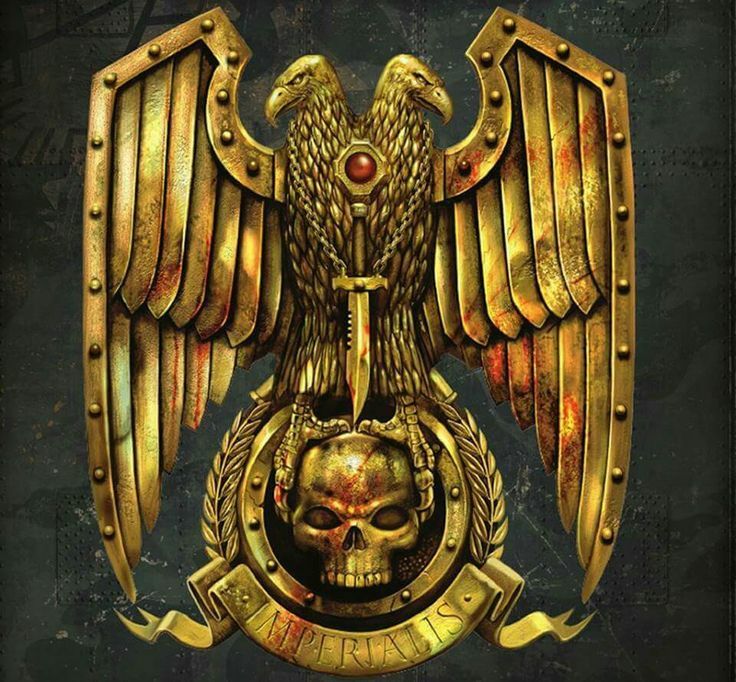 Aside from that, the joint project I'm working on with some friends through the Grim Dark Brotherhood is coming ever closer, and we're looking at getting some details firmed up for an even in Q1 next year (Late Q1 that is, I'm changing jobs in January and the good lady's birthday is in February). One of the projects we're working on in that regard is getting lots of scenery ready, and to that end last weekend we got our hands on some sector mechanicus stuff. Loads of work to do but we've got a really exciting and striking paint scheme planned (ok, nicked from White Dwarf) so at the weekend I put a few bits together to see how it looks. Big is the answer, it looks very big! This one is the smallest of the three kits we picked up, so with a few additions in terms of scatter scenery and some line of sight blocking terrain, we should have plenty here to fill a whole board. Added to that, this will quite nicely provide us with some good scenery to play our games of Necromunda over once we get up and running next year. Greetings all, last night I got my first game in with the new missions from Chapter Approved, my opponent (Dave) and I played the recon maelstrom mission, so I thought I'd do a detailed review of the mission and my thoughts on how it changes things up, along with a brief section on what actually happened in the game. The New Necromunda - first game debrief! 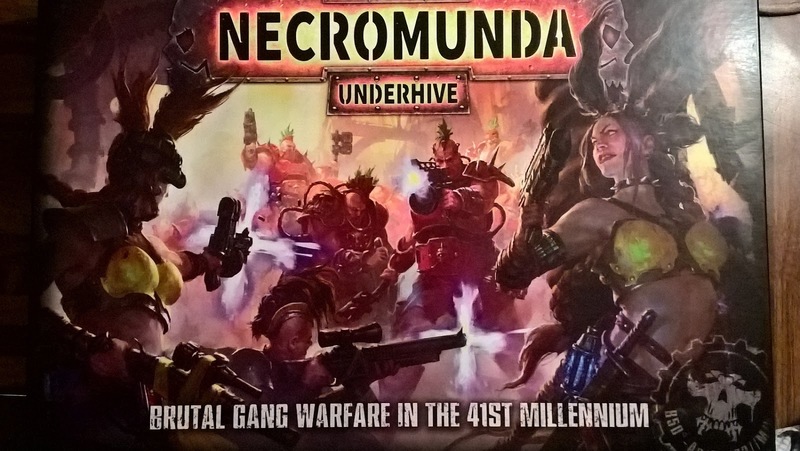 Last week I had my first game of the new edition of Necromunda (thanks Tuck Shop!). Headline: It's just as good, if not better than before! Hobby update - Craftworld and Dusk Knight reinforcements. It's Monday again so that must mean updates on my hobby progress! This week real life has intruded a little so I've not got quite as much done as I normally would, however I did get some time to myself on Saturday night and Sunday to crack on with assembling the reinforcements I've picked up from my birthday funds. 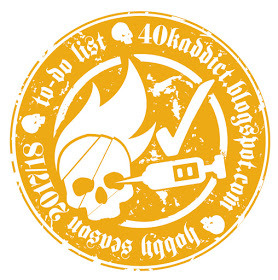 back in August, I decided to take part once again in the hobby season, an idea created by Dave Weston of 40k addict fame to try and ensure that he (and subsequently we) set out a plan for what we're attempting to achieve in any given year. This year I've decided to really try and stick to it far more closely than I have done before, and I set some very specific goals to aim for. Then of course I changed my plans, and decided to go down the route of collecting Eldar instead of T'au Empire (for now). That also meant putting Genestealer Cult on hold for a while, so today's post is all about how I'm revising my goals to take account of those changes. I've been writing all sorts of lists for my Eldar army now for a little while, and with this year's birthday having come and gone, it's safe to say that I'm going to be committing some funds to expanding that collection (well, once GW sort out their stock issues that is!). So, without further ado, let's get on with it shall we? Thankfully, all the short term goals (which are now slightly overdue, though only 1 is unfinished) were ok. Originally this was a Tau broadside and 3 crisis suits. I may still tinker away with these, but medium term goal 2 is now painting the 12 windrider jetbikes I need to get done for my Eldar. Originally the neophytes, primus and magus for my GSC, as with the Tau above I might very well get some of this done, but medium term goal 3 is now a Vyper jetbike, Wave Serpent and Farseer skyrunner, along with a Terminator Librarian and an Ironclad dreadnought for the Dusk Knights. Originally more stuff for the GSC and Tau, I'm now putting these on hold until I know what I'm doing next. There will be an Orlock gang to paint once they're released, and possibly some Eldar stuff that I don't know about yet cos I haven't finally decided what my larger lists will look like yet. It's been a couple of weeks since I last did a hobby update, so I figured I'd let you know where I was with everything. First up though, it's my birthday at some point in the next 7 days, so I'm hoping that next week I'll have a nice hobby haul to show you all! In the meantime, please take a hop on over to my sister blog, the Grim Dark Brotherhood, where I'm starting to add more regular content now in terms of a tale of 3 gamers that we're embarking on. You'll soon even be able to see me in video format on our youtube channel, but I'll blow all the trumpets and ring the bells etc when that launches. Space Marines - My top 5 and bottom 5 units in the codex. And why! Greetings all! Well having had plenty of games with the space marine codex now I thought I'd have myself a little list-making exercise, and what better or more time honoured hobby blogger method for doing that than by the classic 'top 5' type post! Greetings all! Back in July, I wrote a post about my initial thoughts on 8th edition, and it was pretty well received (it's actually my third most viewed post of all time). Well, we're a few months down the line now, several codices into the new edition and I've played a lot more games, so I figured I'd do a kind of update to that post, though in a connected fashion rather than a direct follow-up. 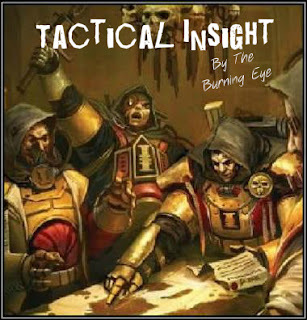 What I think I'm going to do therefore is have a look at a few issues I have, take a look at the factions I've played and how I feel about them in narrative terms compared to their tabletop rules etc. I thought I'd stick up a post covering the list that I took to Never Mind the BlogWars last weekend. Overall I did ok, nothing spectacular, but as my last post on the subject showed, I was actually only outscored in terms of sheer amount killed by 2 of the top 4 players, and only the 3 of us managed that 86% kill ratio or higher (the top player actually managed 95.65%). That being said, my performance on maelstrom objectives was poor (in part due to some shocking card draws) in two of my games and lower than I've come to expect from this list in the third. I decided therefore to do a review of my list in similar vein to those Mike at St Andrews Wargaming does when he attends a tournament. Greetings all, today's hobby update is going to be a bit of a different animal to normal, as most of my effort last week went into getting the final bits sorted for my attendance at Never Mind the Blog Wars on Saturday. 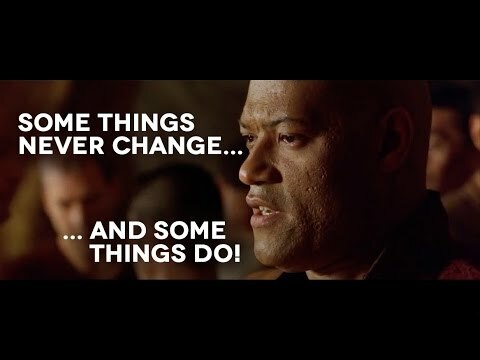 What follows therefore is a quick brief on the tournament, my results and the important bits from the weekend, plus a few thoughts on where I'll be taking the Dusk Knights from here and what's next on my plate. The lesson learned - Sometimes the obvious use of an ability is not the most effective. I'm currently sat in the back of a mate's car on the way to Never Mind the Blogwars, but I've still got some pearls of wisdom to impart for you all! This week's lesson comes not from myself, but from a game I read up on on Mike Corr's excellent St Andrew's Wargaming blog. Hi all, just a quick photo post today - this Saturday is 'Never Mind the Blog Wars', run by Alex at From the Fang. I've always enjoyed Alex's take on running tournaments, so was really pleased when he decided to run an 8th edition singles event that I could make once more! today I wanted to have a quick look at how I go about developing an army list, and where better to look than my current project in planning - the Aeldari (specifically the Asuryani). I posted up last week about my 1st draft list, and today I want to look at how I've gone about tweaking it so far. Now, inevitably, as a first draft list (and without the codex yet) there were going to be changes to this, and in particular there were a few holes that I wanted to look at and to explore use of the various stratagems to hand. First among equals here is the linked fire stratagem with the Fire Prism. Ok, it limits both units to fire at a single target, but the sheer potential devastation that could engender is insane. Assuming neither fire prism moves too far (or at all) then you're looking at 4 S12 shots with -5 AP and D6 damage, so potentially 24 damage in a single turn! And with re-rolls to hit and to wound that stratagem is a super-heavy killer right there. Alternatively, you could go for the middle profile and kick out a mighty potential 36 damage per turn, which I think is probably the more reliable way to go actually, though this is a gut feeling. Whilst I wouldn't normally recommend building an army around a stratagem, this is such a potential game winner that it's worth ensuring you at least have the potential in your list to make use of it. Next up was the stratagem I talked about using with the Warlock Conclave. This doubles the range of a warlock psychic power, but as they're all 18" basic and the skyrunner's movement is 16", you really shouldn't be prevented from being in range of what you want to target, so I don't think there's a need to work round that one. Added to that, by switching Warlocks out of the conclave they all gain the character keyword so can't be targeted unless they're the closest model. Right, so looking at the list, where are the weaknesses? My intention here was to use the wraithlord in an aggressive role, kitting him out for close combat. I still rate the model in that respect, but I'm concerned that with only 1 in the list, it would be crippled too early to be useful. I'll probably work up a variant list in the future using more wraith units with this as a key element of the strategy, but for now he's gone. Nasty, nasty guys they can kick out up to 4 S5 attacks each on the charge, so should mince through quite a bit. However, at 175pts I just had a little nervousness about them, particularly given they would likely be targeted by enemy heavy hitters. Again like the wraithlord, they'll probably make it into my collection, but for use with a variant list. 2 Guardian units sitting on objectives in my deployment zone are fine, but with no long range weapons that would be 160pts that wouldn't be affecting the outcome of the game unless my opponents were being aggressive and failed to get charges off against them. I could certainly look to make a saving here, though I'd made the philosophical decision not to use rangers in light of the craftworld background I'm working on separately. So, how did I go about changing the list up? Well, first I stripped out all the units I thought could be tweaked around, so out came the two guardian squads, the wraithblades, the wraith lord and the warlock conclave. In came a second fire prism, to really boost up my ranged killy-death-ray-guns-of-doom. I then looked at rearranging the troops units. By taking out 1 guardian squad, I could give the other a bright lance platform to influence things from afar, and instead take a second unit of dire avengers. I also figured I could re-jig the transport situation. Initially I had thought to support the Howling Banshees with the 5 Dire Avengers, but then I figured why not make the Howling Banshees the support unit? So, instead the Howling Banshees join the Fire Dragons in the Wave Serpent, meaning they can both get out, with the Fire Dragons hopefully rendering a transport to slag, with the Howling Banshees then charging the contents. That meant I had to find a place for 2 units of Dire Avengers and I'd got a Falcon buzzing round spare. Hmm. I like the Falcon, especially the Pulse Laser's fixed 3 damage. Maybe I should take 2 and put the Dire Avengers in the back? Sold! After a few more little tweaks, I realised that by foregoing the bright lance on the falcon turret and taking a shuriken cannon instead (along with a second shuriken cannon underneath) I could then fit on Spirit Stones and a Crystal Targeting Matrix on each one. Cool, so now the list looks a little something like this. The list now looks a whole lot more devastating at range, with a pair of pulse lasers, 2 prism cannons, 3 bright lances, 8 shuriken cannons plus a multitude of lighter weapons, and 5 fusion guns and a fire pike for close range anti tank. The big loss is in close combat punch, with the howling banshees the only unit with any capability in that regard. 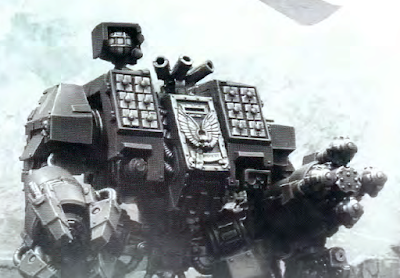 On the whole though, I think the additional firepower at range makes this army build a much scarier prospect than previously, and with so much of it having the fly keyword and generous movement allowances, it's going to be really hard to pin down. Obviously it suffers up close in comparison to the first draft list, and if I were to expand this list to 2.5k or higher that's where I'd look to focus the additional elements. Equally, I'm unsure yet whether this list would benefit from dropping the Banshees entirely for another warlock and some upgrades. At the moment I think I'd rather keep the combat unit, even if it is a minor thing, it'll still scare stuff like guard squads etc, and is incredibly useful for charging flamer units to prevent overwatch. What do you guys think? Better? Or do I need to allow for a greater CC presence still? Greetings all, here's this week's look into my hobby world, hope you enjoy! Greetings all, well, I've done these for a couple of other armies now, and as I've now decided that my next project will in fact be an Eldar army instead, I figured it was probably sensible to do the same for how I'm planning on taking my Eldar army forward. I should probably preface this post with a little caveat however - this is not an attempt to push the capabilities of the codex to its limit. The intention is to represent a cohesive, flexible and mobile force that represents some of the wilder, vengeful elements of the Eldar spirit. Don't forget to vote in the poll at the top right of my blog - I'm still undecided on the name of my craftworld to be and you guys will make it happen! Mael Dannan is ahead by 1 vote at the time of writing this! Hi all, just a very brief update today - I've been distracted by RL stuff I'm afraid. Still, I've had time to get work in on some new objective markers, my dreadnoughts for #dreadtober (which are now finished) and some commission stuff, though I've realised that without their mounts, the bloodbletters look like they're dancing to Gangnam Style! The Lesson Learned - blessings in disguise. Greetings all, welcome to this week's 'lesson learned' post. This week the lesson follows my game against Alpha Legion using my Dusk Knights Space Marines, and it's an interesting one, about making the most of a bad situation and seeing how something negative can have a positive effect on the game. Windriders - a little look into the numbers. Hopefully you'll have seen from my earlier post that I'm looking at putting together an Eldar army in the near future, and that it will be heavily leaning on the mobility of that race, specifically jetbikes, grav tanks etc, with those vehicles transporting some of the more aggressive units in the codex into combat. Now, with that in mind (and having watched a couple of reviews of the book on youtube from those people to whom GW have provided a copy) I had a bit of a think about jetbikes and their options. Here's the result of that, hope it sheds some light on things for you! Plans. Never make them too far ahead! Greetings all! Sorry it's been a bit quiet on the blog here recently, I went away last weekend for a family break with some friends and their kids so things have been a bit quiet in general on the hobby front since early last week. Rest assured though, normal service will resume very soon, and a lesson learned post is coming for Friday. This week's topic is blessings in disguise! Still, I digress, because the post title and header pic make it obvious (I hope) that something significant has just happened in my hobby. Hopefully you'll have seen that recently I've been preparing for my next army, getting my T'au colour scheme prepped and ready and drafting out a list to work with and build to. Well, my biggest concern about that was that the list was written from the Index, and given the seemingly unrelenting pace that GW is churning out the codices at the moment that didn't seem to be too much of a problem. However, doubts persisted and I just couldn't resolve myself to spending such a significant amount of money if early next year (I'm guessing, no inside info here) a new codex dropped and messed up all my synergies (I don't like that kind of thing). Add to that, one of my closest hobby buddies is also planning his own T'au list, and you get where this might be heading? Yup, the Firestorm Enclave is to be put on hold for a bit. I'll still work on the background for it, and I'll probably even pick up the odd unit here and there to gradually put something together, but I'm shifting focus for a while instead. But, where to? I hear you ask (speak up a bit!). Well, given the above, it should be fairly obvious that it's to one of the factions that already has a book, and given I already have the marine codex we're narrowing things down quite a bit. Ok, I'll just tell you shall I? Eldar (or Aeldari for the newcomers amongst you). 7th edition was not a time to start an Eldar army, at least not if you wanted to keep your friends. Now, I suppose I ought to give you a bit of background about me and the Eldar, cos we have history. A lot of history! Way back when after I'd painted so many marines I wanted a break from it all, I bought some Eldar bits. In particular, a Falcon grav tank. I painted it up in some colours I really liked, spending hours (about 16 if I recall, cos I kept track of it back then) getting it how I wanted. Then GW went and changed the paint range and deleted all the main colours I'd used, replacing them with, well, nothing remotely similar. Being rather more patient back then, I readjusted and repainted the Falcon in shades of midnight blue and it still looked pretty good, but sadly the scheme just didn't translate well to the guardians. That plan got scrapped, and I moved on to something else (Night Lords I think). Back in 6th edition, I tried again, bought a few bits, including a Wraithknight, and began a new paint scheme. I had always wanted a jetbike list, loving the aesthetic of all those lovely grav tanks and bikes sweeping across the table. There was just one problem, the age of the jetbike model and the upright position of the rider grated something inside me, so I decided to wait until a new model came out. Instead, I figured a wraith army would be quite cool, low model count but equally visually impressive (this is actually something Eldar armies do really well, keeping strong design elements through different sizes/types of models enabling your army to look visually stunning if it's themed right). Then the new codex hit, and d-weapons became the new cheese. This I didn't want to be a part of, so I dropped the project once more. Then, wonder of wonders, rumours of a new jetbike model! At last, all my dreams were coming true! Err, no, because once more, cheese had infiltrated the craftworld, and nastiness ensued. I still didn't want to be a part of that. Now however, we have a new eldar codex, and it sounds (from what I've heard/seen) as if finally we have something I would be willing to collect that won't lose me all my friends, but is equally everything I wanted it to be in visual terms. So, forget the T'au for now, next project is the Eldar (look for revised hobby goals for the hobby season incoming!). Now, I need your help here, because already I'm torn! I have two names bubbling round in my head for possible craftworlds, and I'll be using the Saim Hann attribute for my list, so keep that in mind, the wild, unleashed element of the Eldar spirit set free upon the battlefield. Craftworld Il-Sariadh. This is a GW created Craftworld, though with only a very small amount of narrative (thanks Winters!) to go with it. The Craftworld played host to a gathering of Harlequins, but at the height of their performance, one was revealed to be the Changeling, who triggered a mass invasion by daemons. The invasion was thrown back by an aspect warhost, but the 'best and brightest' had been cut down. In narrative terms therefore, I can easily see this as triggering the wilder side of the Eldar to take over, the Craftworld becoming ever more aggressive as they lack the guidance from the more restrained elements of Eldar society. It would also justify inclusion of some Wraithkin elements, but would limit the opportunity for taking a Farseer. I could easily justify that in narrative terms, but that invasion is a significant narrative element I'd have to work around. Craftworld Mael Dannan. This is the second option therefore, entirely my own creation and therefore at present has little fluff behind it, though that's easily rectified. The key thing here is the name, with Mael Dannan in Eldar meaning 'Total and merciless extermination'. 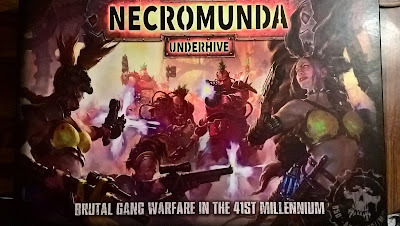 I like this as somewhere to start, and it also lends itself to a spirit-defining moment in the Craftworld's history where a previously 'peaceful' colony in the 40k universe is spurred on by such collective loss that it becomes a raging inferno of destruction, intent on exacting revenge upon the lesser races, whatever the cost. So, I've put a little poll up on the blog, please feel free to cast your vote, and when it expires, whatever the result, that will be the name of my new army! In other news, this project is also coinciding with some of my closer friends also commencing new armies, so keep your eyes peeled in that respect, as something new may be coming! Greetings all! I thought that today I'd talk to you about something I'm running over at my club at the moment - the Dark Imperium Premier League. This is a league where club members could challenge other participants to a game and for those games to mean something rather more than just who got bragging rights for the next week. Hobby update 16/10/17 - where has October gone? Greetings all, just a quick update for you all today, as I appear to have misplaced a couple of weeks of October! With a busy weekend visiting family just gone and a long weekend away coming up painting time may be a bit sparse for a couple of weeks, but here goes with what I've got so far! The lesson learned. Characters are key. Keeping them alive is more so! Greetings all, I've played a few games recently, and as such have a wealth of material to choose from for this post! I've gone for the impact and importance of characters however, and I'll also have a little look at how their use has changed into 8th edition. Tau - the Firestorm Enclave is born! Greetings all, time for another list post! A little while ago you may remember I posted up a couple of potential lists I was working on in terms of starting a new army, one for the Genestealer Cult and one for the Tau. Since then, those ideas have largely sat around in my hobby folder and nothing has happened with them, but in working away the other night on my colour scheme for them, I reignited a bit of a flame for them, so I sat back down and took another look at the list I'd written, armed with a few more examples of Tau lists from battle reports I've seen and a little more information on how the units tie in together, plus a whole whack more experience of 8th edition. List discussion comes after the break. Hobby update 9-10-17 - Tau on fire! 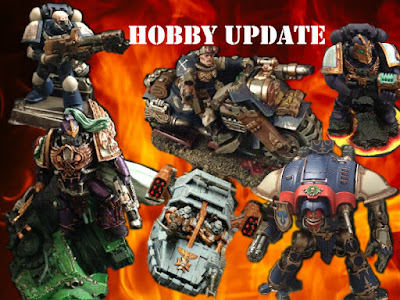 Greetings all, just a quick hobby update for you today! The lesson learned - the hardest lessons are learned the quickest. Greetings all, welcome to the latest part in my lesson series, today I'm looking at not a specific tactical issue as such, but that sometimes you just have to grin and bear the pain and keep going, because making mistakes and having your stuff shot/hacked off the table is the best way to make sure you don't do the same thing again (unless you're as thick as I can be!). Hobby season - short term goals 2 & 3 - TO DONE! Hi all! Well today after my hobby season success of last week, I have a couple more stamps to award myself for staying focused! Hobby update 2-10-17 - clearing the decks for Dreadtober. Greetings all! With a new month comes a new challenge! I'm taking part in Dreadtober this year, so I've got some dread pics for you later, but for now, let's have a look at what I've achieved already at the end of September shall we? First up, my first completed Razorback in a long time! I've done weathering on this guy too which I'm really pleased with, now I just need to add a second to join him! Next up, we have my converted Terminator Captain, using the Asterion Moloch model, an old masters of the chapter storm shield and a thunder hammer head, plus a sculpted base. This guy came together really quickly once I knuckled down and started painting him, and I'm really pleased with how he performed in the game too, taking on the avatar of Ynnead and emerging victorious. These first photos aren't quite the finished article, which can be seen in-game against the yncarne itself. Next up we have the 8th company captain, Jace Fenix, who is also now complete though I don't have photos for him sadly (yet). I've also been progressing with some of my hobby season pledges, with these sniper scouts now just needing detail adding to their faces and bases. Last night I wrote a new list for a game I'm playing this week, and to use it I need a crusader squad, so here we are, my 3rd tactical squad got sacrificed to the altar of alteration and is now armed with bolt pistols and chainswords. After that, I got these heavy bolter guys finished - these are on my hobby season list too so look out for some nicer photos of them and the other devastators on there tomorrow night. I then did a bit of wash and colour work on some of my scenery, this building being phase 1 of a much larger ruined cathedral we're working on for the grim dark brotherhood. And now the promised dreadtober pics! Last night I put down much of the base silver so that I could crack on with some detail work. And so today during my lunch break I got on with that detail. I'm particularly pleased with the base and the lamppost for the dread on the left, it's going to look pretty characterful when it's done I think!